Unbelievable. 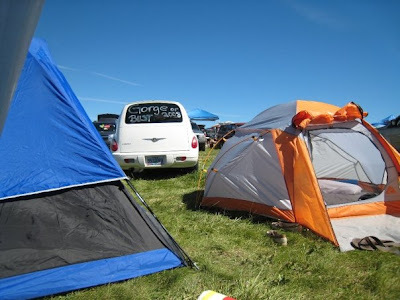 That pretty much sums up this year's labor day weekend at the Gorge. Dave Matthews Band was headlining the weekend as he has in the past, but this weekend would prove to be a special one for fans and for the band. 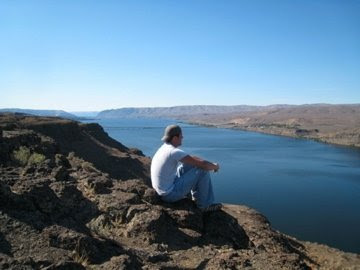 It was the first trip to the Gorge without saxophone player LeRoi Moore. LeRoi's death was a surprise to many, as an embolism from a June ATV accident would ultimately end his life. The band was very emotional during their 30th appearance at the venue and played with passion that some bands can only dream of. The band put on some of the best shows of the year, and as always, did not fail to awe. 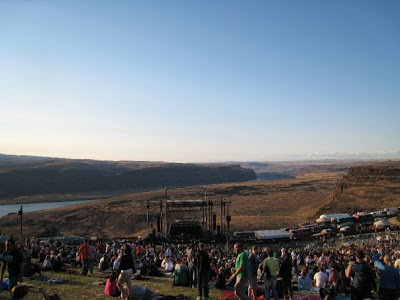 The Gorge is truly a magical place, and if your favorite band is lucky enough to play there, I highly recommend attending. 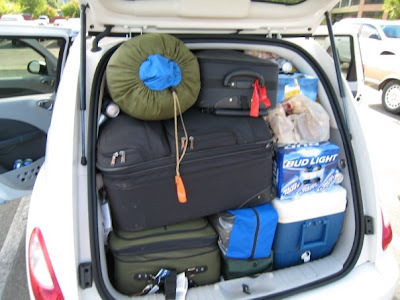 How much can you pack in a PT cruiser? Good thing we're good at Tetris! 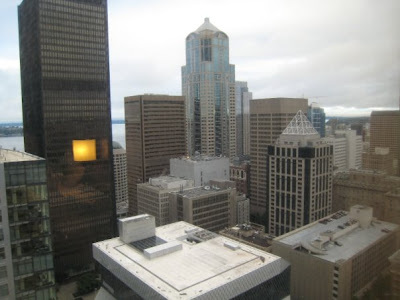 A view from the top of the lawn. What a venue!